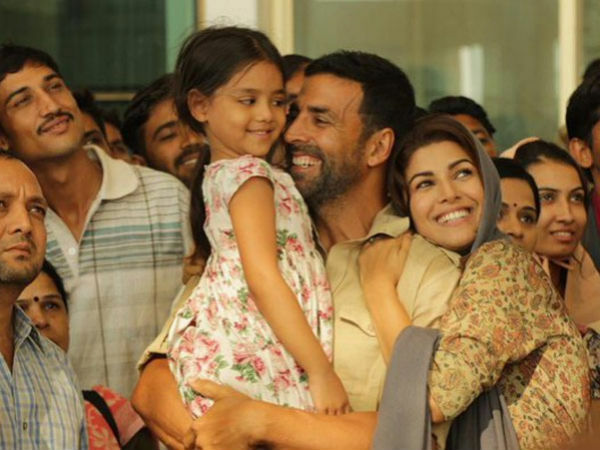 Shree Narayan Singh directs Akshay Kumar and Bhumi Pednekar in Toilet – Ek Prem Katha. 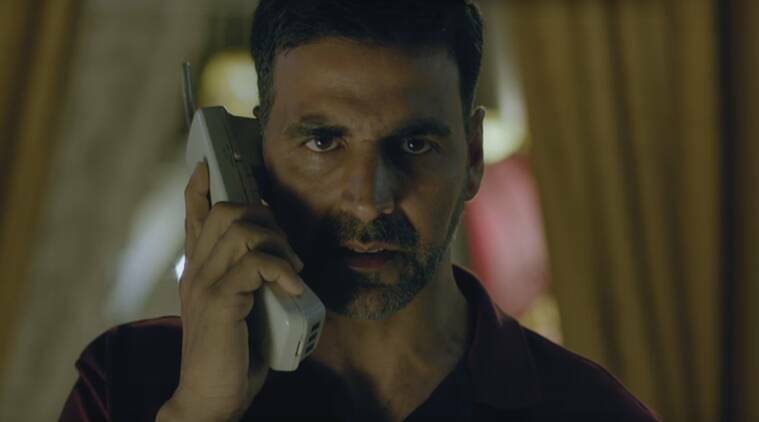 Akshay Kumar has hit something of a purple patch when it comes to the scripts he is picking and his performances in them. The critics are loving him as are the masses. I have had my challenges with the execution of some his more acclaimed work. 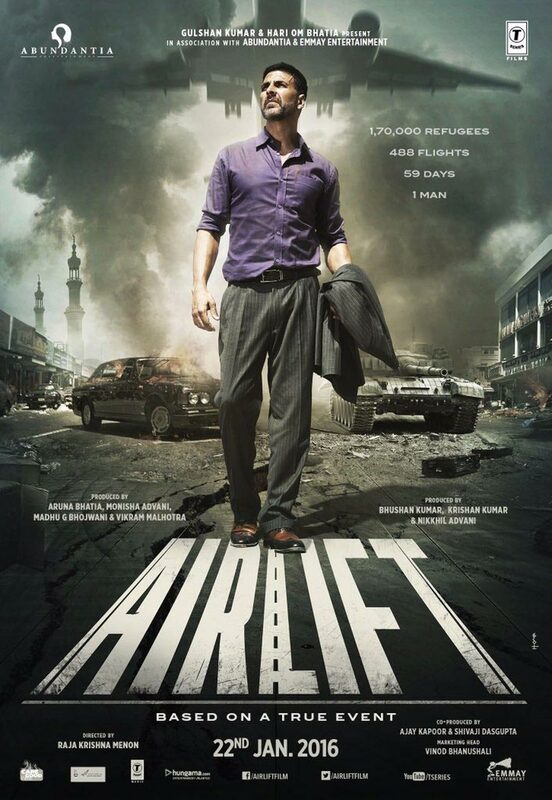 I found Airlift too hackneyed and Rustom didn’t deliver on its potential. 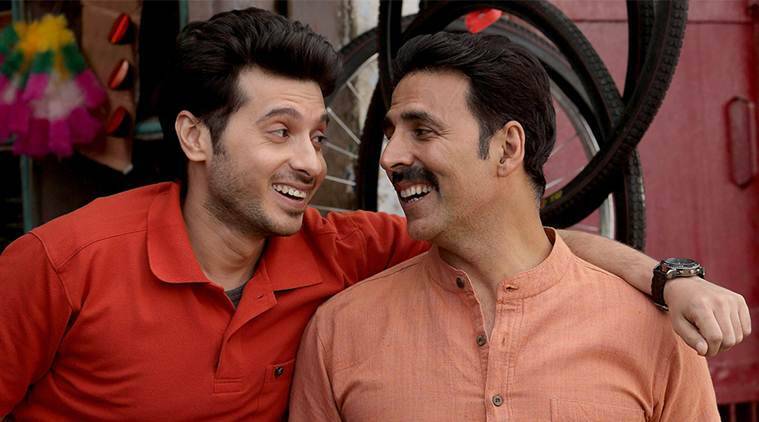 Will Toilet –Ek Prem Katha with its off-beat plot be the one that finally makes me sit up and notice? Keshav played by Akshay Kumar is the son of a Brahmin played by Sudhir Pandey a veteran of the television world. Keshav is plagued by astrological irregularities which stop his father from getting him married off. Due to his being Manglik – he is wed off to a buffalo – a rather hilarious take on the surprisingly common ritual of Kumbh Vivah which is usually performed with a tree. Keshav falls in love with Jaya played by Bhumi Pednekar, the firebrand from the adjacent village and together they concoct a fake thumb to overcome Keshav’s second astrological issue. Hilarity ensues when the day after the wedding Jaya is invited by the women of the village at the crack of dawn to their Lota party – the practice of going into the fields to tend to nature’s call. The educated and “liberal” Jaya is shocked at the idea and refuses to “go”. Keshav tries everything he can to make his new bride happy but his Father is deeply opposed to the notion of defecating in the same place where they worship. Jaya goes back to her parent’s place and Keshav sets about the task of winning his wife’s heart and getting her back. Akshay Kumar is spectacular as Keshav. He is the perfect mix of village bumpkin and yet evolved in many ways. His charming ways of trying to win over Jaya when he first sets his eyes on her and the not-so-quiet determination of winning her back after she leaves him to return to her parent’s is fantastic. Even tasked with maudlin dialogues like “ye mamla Sauch(Toilet) ka nahi Soch( Thought) ka hai” and “ jab biwi chahiye pass to ghar me ho Sandaas” he delivers them with such earnestness that you are not left cringing. Bhumi Pednekar who first burst onto the screens as the overweight newlywed in Dum Lagakar Haisha (a Fantastic film if you haven’t seen it already) is solid here. Her struggles at loving and wanting to be with Keshav but standing up for her dignity are highly nuanced. One moment she is directing her fury at the women who say nothing about the lack of basic hygiene and the next she is weeping in the middle of the night applying detol after she beat Keshav with a Laathi at the Lath-Maar Holi. 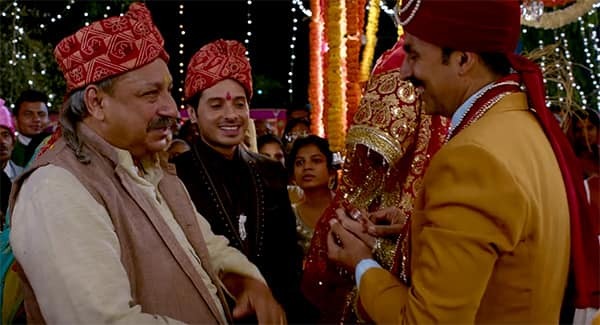 Sushil Pandey as Bauji, Anupam Kher as Jaya’s uncle and the actors who play Jaya’s parents and veteran actor Shubha Khote are fantastic in the small but significant roles they play in the story. Divyendu Sharma who plays Keshav’s brother is good in parts but then like in Pyaar Ka Punchnama becomes overbearing and hogs the screen which really does not belong to him. There are some serious missteps in the second half. When Keshav goes to Block Samiti to get approval for a common toilet for the village they try to wedge in the 3000 Cr. Sanitation scam into the narrative and it feels very ham fisted. The different government departments, and the whole narrative arc just feel very unresolved. But where the movie triumphs in is in making the unpalatable, palatable, making a very important issue – entertaining to watch and still managing to get the message through without necessarily being preachy about it. Also a big highlight for me is the song and the picturization of the song “Gori tu lath maar”. 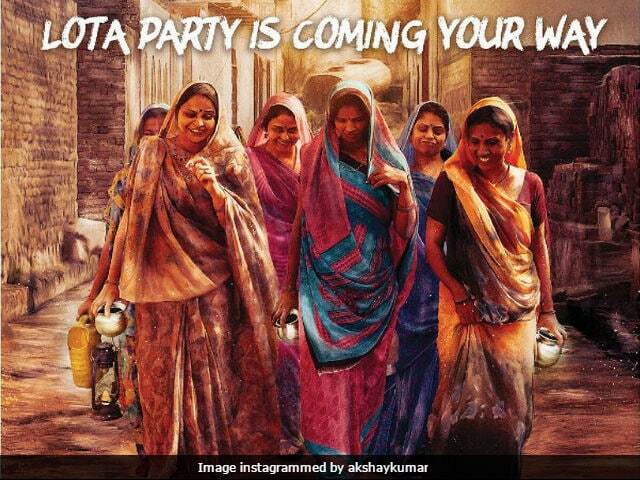 Set against the backdrop of the Lathmar Holi of Mathura where women beat men with a Lathi. Despite the unresolved second half this is a well-made, excellently acted film. 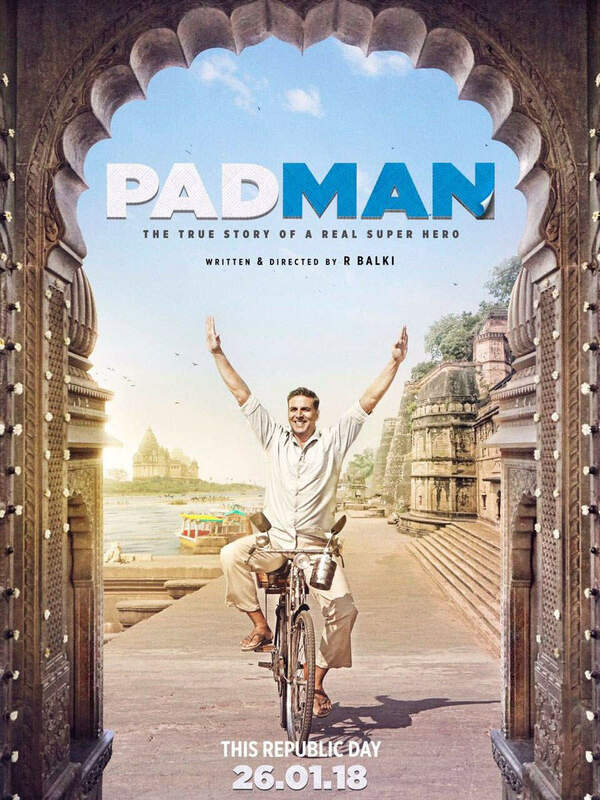 If this film is able to make even the slightest bit of difference in the furthering the cause of Swacch Bharat it should make everyone associated with the movie very proud. 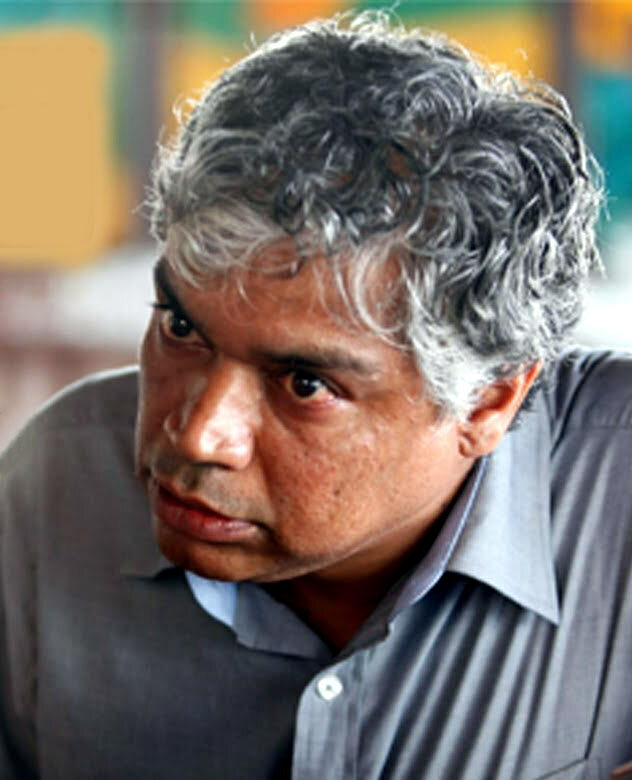 This is not a propaganda film, nor is it preachy – it is a socially aware and yet immensely entertaining movie.